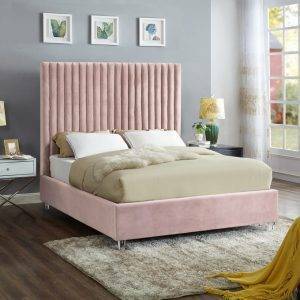 Ensure that every night’s sleep is a dreamy escape with this Rowan Grey Velvet Bed as the centerpiece of your bedroom sanctuary. 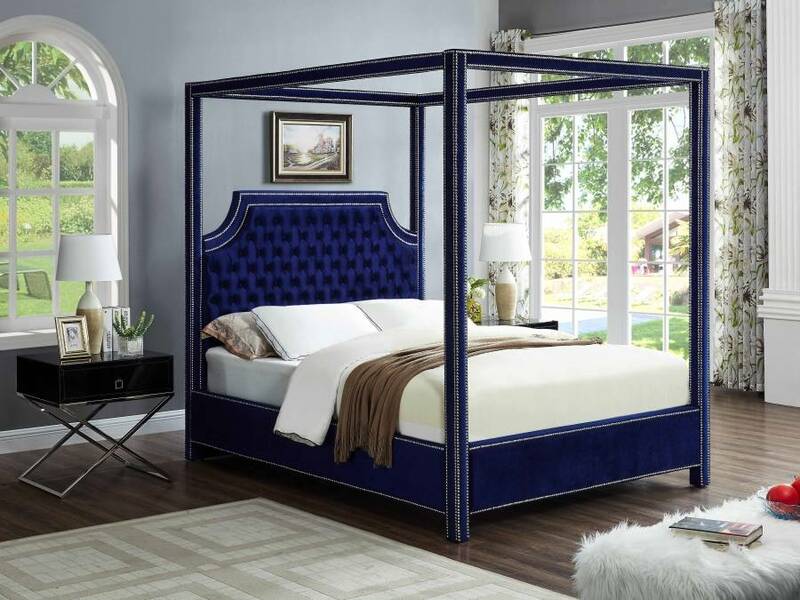 This bed features a velvet-clad canopy that beckons you to rest like royalty. 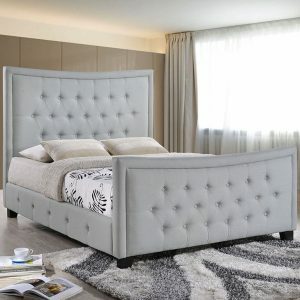 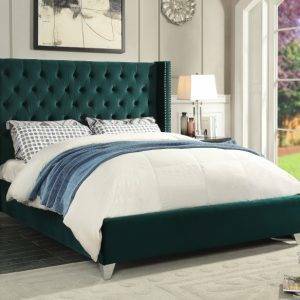 The deeply detailed tufting on the scalloped headboard makes for a sumptuous presentation, and the chrome nail heads add to the luxe look of this exquisite bed.